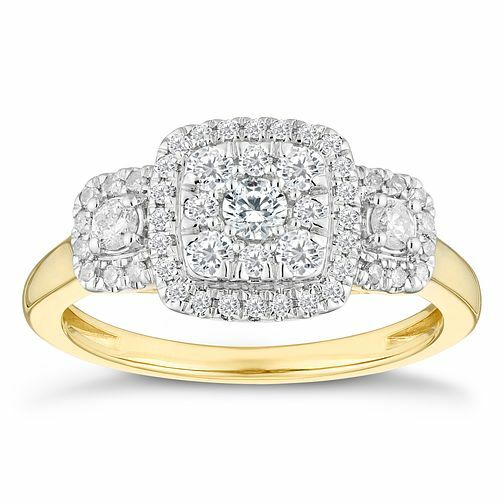 Celebrate your engagement with a beautiful three stone diamond engagement ring, designed in a luxurious cluster style, with three diamond accent stones surrounded with a halo of diamonds for a uniquely symbolic statement of love and glamour. The total carat weight of all diamonds combined is half a carat. Three Stone Diamond Engagement rings are revered for the symbolism of past, present and future.